this was taken from route 80, south of dubrovnik, right around here. the old city of dubrovnik is over the high on the right side. center of the former city's growth and dominance - its port - still in use a thousand years later. slightly more modern vessels. this series was taken from the walls of the old city of dubrovnik, croatia, a UNESCO world heritage site. completed in the 13th century, the walls loop the city in a ring slightly over a mile long and, in some places, reaching as high as 75 feet. the majority of the original fortification still exists including cannon turrets, surveillance houses and more. mljet is a ridiculously gorgeous, incredibly isolated and wonderfully quiet island about two hours north by high speed ferry from dubrovnik. a majority of the island is protected park land but there are some small hotels and around 1000 local residents. the island is dominated by two gigantic lakes that flow into each other - the larger of the two lakes is pictured here. if you hover over the very center of the horizon line you'll see the monestary of st. mary. only an hour by ferry from the terminal in dubrovnik, lopud is a small island with gorgeous beaches and a small tourist population. only a few square miles, the island has settlements and churches that date back over six hundred years. 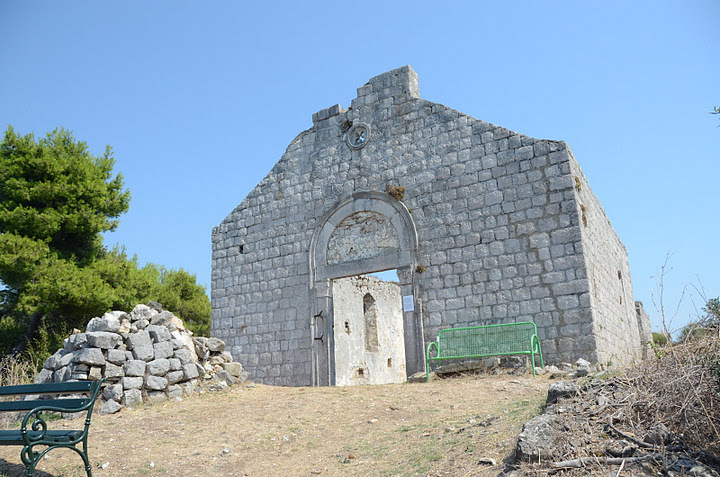 the first panorama was taken on a hike to the northern side of the island while the second two were taken on the way up to st. ivana church, at the highest elevation on the island.